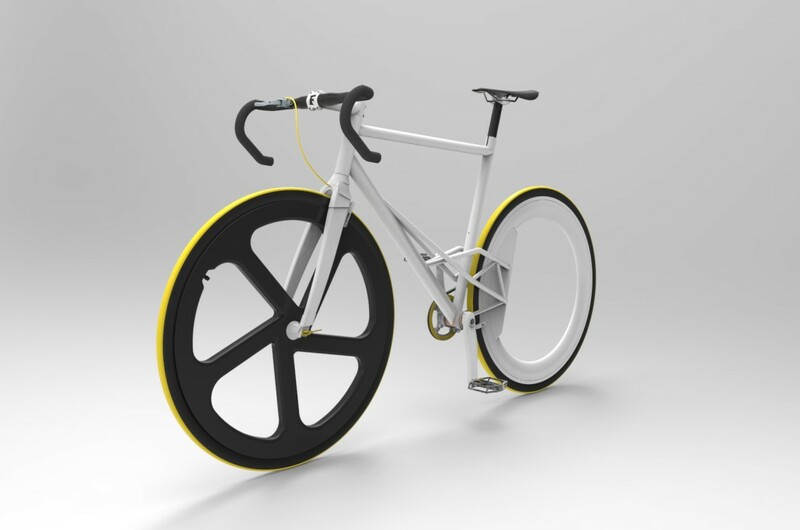 OFGB Proto 1 is a fixed gear bike, usefull to move quickly trought the city. 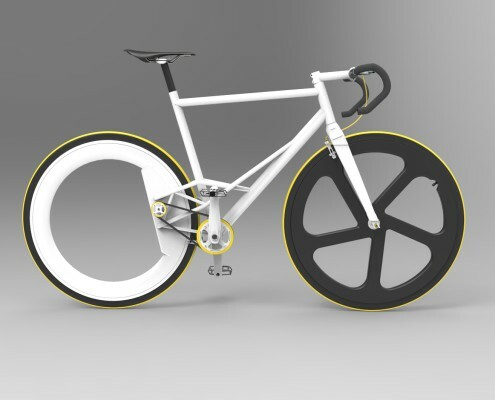 It is designed to be a mixture of classic bike design and futuristic technologies. Actually it is called “Proto 1” because it is a testing bike for the rear wheel while the acronimous “OFGB” means Orbital Fixed Gear Bike. The second generation bike will be an aero frame, stealth inspired, made of carbon fiber and Titanium. Hubless wheels are already existing, most of them are prototypes. OFGB Proto 1 wants to optimize this technology reducing overall component dimensions and internal frictions. Another interesting solution adopted for this project is about transmission. the components and noises. OFGB Proto 1 will be realised starting from an existing street bike frame and it will be modified to fit the new rear wheel.